Increased life expectancy causes higher prevalence of chronic diseases and greater frailty among older persons. Osteoarthritis and hip fracture are the leading causes of disability among the older persons in high income countries. Recent studies showed that patients undergoing hip fracture surgery have an increased risk of mortality and developing complications. The aim of this study was to compare the occurrence of in-hospital mortality events, complications, and 30-hospital readmissions among patients undergoing hip fracture surgery (HFS) and elective hip replacement (EHR). The study considered all hospital admissions for HFS and EHR performed from 2006 to 2015 in Abruzzo region, Italy. Data were collected from hospital discharge records. To compare outcomes between HFS and EHR, a propensity score matching procedure was performed. Odds ratios with 95% confidence intervals for primary and secondary outcomes were computed using logistic regression models. A total of 32,248 patients were selected: 23,075 underwent HFS and 9173 underwent EHR. After matching, 18,078 patients were included in the analyses (9039 patients who underwent HFS and 9039 patients who underwent HER). In the matched population, HFS patients showed an increased risk of in-hospital mortality (OR 2.03; 95% CI 1.58–2.61) and 30-day hospital readmission (OR 1.97; 95% CI 1.85–2.09). A sensitivity analysis performed on patients younger than 65 years of age confirmed these findings. 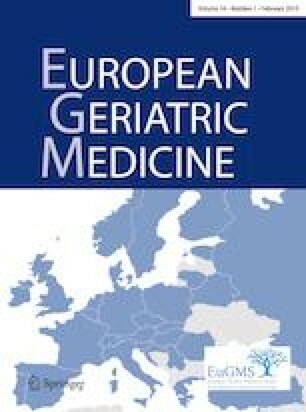 In a cohort of Italian patients, hip fracture surgery was associated with a higher risk of in-hospital mortality and 30-day readmission when compared to elective hip replacement. The online version of this article ( https://doi.org/10.1007/s41999-018-0146-z) contains supplementary material, which is available to authorized users. The authors are very grateful to Angelo Muraglia and Italo Di Giuseppe (Dipartimento della Salute e del Welfare, Regione Abruzzo, Italy) for helping in data collection and to Marzia Iasenza (PhD in English Linguistics) for reviewing the English manuscript. The study was conducted in conformity with the regulations on data management of the Regional Health Authority of Abruzzo and with the Italian Law on privacy (Art. 20-21 DL 196/2003) published on the Official Journal n. 190 of August 14, 2004. Data were encrypted prior to the analysis at the regional statistical office, where each patient was assigned a unique identifier. This identifier eliminates the possibility to trace the patient’s identity. The usage of this database was approved by the Department of Health and Welfare of Abruzzo Region. According to the Italian laws, no written informed consent is required when the data are anonymous.